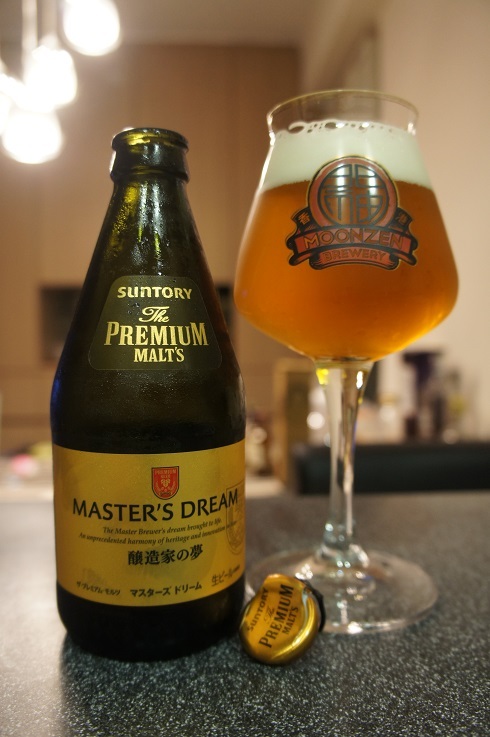 Brewer Description: (from bottle) The Master Brewer’s dream brought to life. An unprecedented harmony of heritage and innovation in Beer. 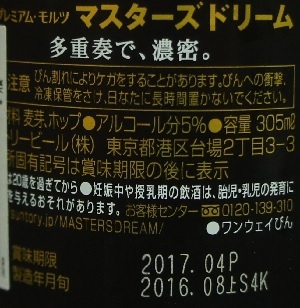 Intro: A 305ml pull cap bottle with a best before date of April 2017, poured into a Moonzen teku glass. Appearance: It poured a wonderful clear golden orange colour with a slightly less than two finger white head that dissipated quickly and left some sparse lacing. Aroma: On the light side, but there’s sweet malt, biscuit, grass, caramel and a touch of lemon. Taste: Sweet malt, grain, grass, floral notes, lemon, apple and honey. 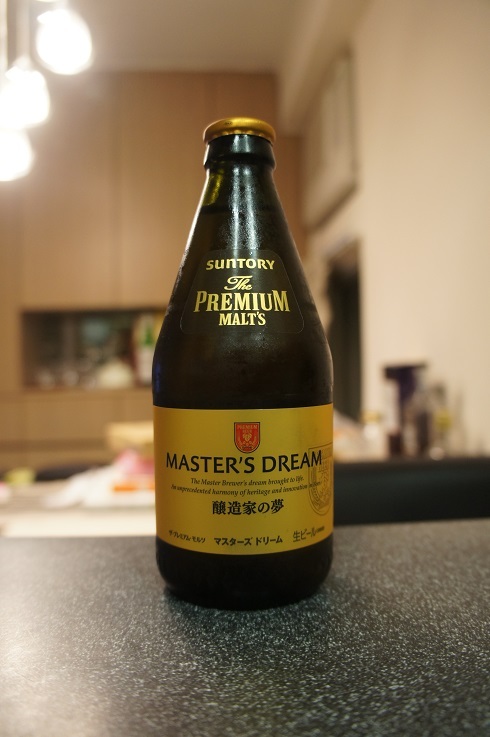 Overall: If only Suntory made their beers as good as their whiskies… Master’s Dream was easy to drink and was not bad, but at the same time nothing special either.